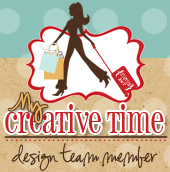 Happy Monday and welcome to another awesome My Creative Time Scrapping the Little Things! I love this series because it forces me to get me smash pages done. I have been having a hard time keeping up with my book and right now they are collecting dust. This was a quick and easy page I made using MCT products. This is a picture of myself, Emma and Liz when we hooked up for coffee and a Hobby Lobby stop of course :). Super simple and to the point! Sorry no video today but I think this to be pretty self explanatory. Emma's stamps and Dies really made this page! Thank you for stopping by today! Make sure to check out the rest of the Design Team. Big crafty hugs to you all! How fun!! Gosh you gals look smokin' just awesome it's just so sweet how you gals are so close and have so much in common you are right your LO says it all and to the point. You sure used Emma's dies and stamps fantastically I love it so much!! Fab...love shopping with my gal pals!! So cute, Nancy! I'm still annoyed that you did that on a day I had to teach, LOL! I bet you had a fun time shopping! What a fun day to smash! I like how you designed the page...the arrows and scissors are such fun to use. Great page. Nancy ~ FABULOUS as always! LOVE how many MCT items you got on your page! Okay this picture is simply AWESOME! LOVE that you ladies can get together! I bet you all had fun too! Thanks for sharing!